Seattle INFINITI shoppers will find nothing but a world-class dealership experience when visiting INFINITI of Bellevue. Here at our trusted Washington INFINITI dealership, we not only carry the newest INFINITI models that provide drivers with incredible luxury and performance, we also offer a hassle-free, comfortable and confident buying and leasing experience. As your local INFINITI dealer, we know that you are looking for the highest quality INFINITI models. We have a great selection of comfortable, luxurious, performance-packed sedans like the INFINITI Q50 to get you through your daily commute on the I-5. We also have incredible All Wheel Drive crossovers like the INFINITI QX60, a perfect vehicle for heading over to the ferry to cross the Puget Sound to Bainbridge Island for a weekend family camping trip at Fay Bainbridge Park. The perfect INFINITI to suit your needs and lifestyle is waiting for you right here at INFINITI of Bellevue. Why Choose INFINITI of Bellevue? Our management team alone has more than 100 combined years of experience working with INFINITI customers and vehicles. Our technicians are INFINITI-certified and expertly trained in the exclusive maintenance and repair of INFINITI vehicles. Because we’re experts, we can often save you time, stress, and even money because we can identify and resolve your vehicle’s issues quicker and more effectively than a general auto mechanic. Just like our technicians, our Service Consultants are rigorously trained and INFINITI-certified to provide you with trusted recommendations to meet the needs of your vehicle, your family, and your budget. 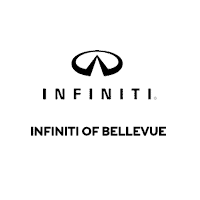 INFINITI of Bellevue is locally owned and managed. Under the same ownership since our very first day, our team isn’t operated by an out-of-state corporate office. Our owner is on-site five days a week with an office just outside our main showroom. Our customers have been coming to us since we first opened in 1997. We believe in honest, open, and fair business practices and take pride in our reputation within the community. We offer parts and labor warranties on all work completed by us for us to 12 months or 12,000 miles (whichever comes first). Additionally, our customers love our service department. When you need INFINITI service in Seattle or INFINITI parts in Seattle, you can be sure to receive nothing but the best in both quality and care from our trusted service technicians. We even have convenient Express Service to get you back on the road and back on schedule in no time. From sales to service and everything in between, INFINITI of Bellevue has you covered. With a great selection of inventory, a friendly and knowledgeable staff, and a state-of-the-art facility, you are sure to love everything our dealership has to offer. Be sure to stop by our showroom today to discover why “We Are INFINITI”. Our Seattle INFINITI dealership can help you get behind the wheel of the INFINITI of your dreams. For more information, Contact Us today or call (425) 728-7925.